The Market Place stands in the centre of Frome. Many fine 19th century building can be found here, as well as the historic George Hotel. From the Market Place you can easily head up into either St Catherine’s or Cheap Street to do some shopping, or head to the Black Swan and Cheese and Grain. For fresh produce, why not visit the market stalls which can be found here every Wednesday or Saturday. 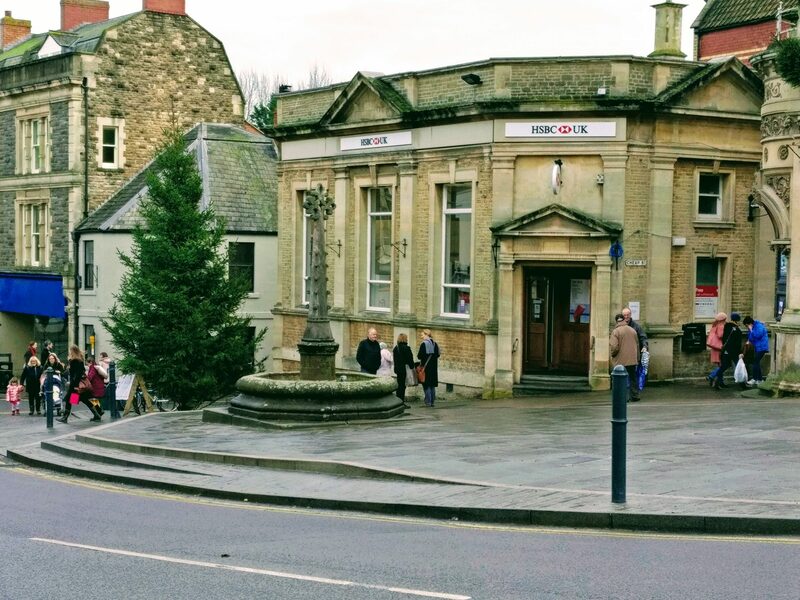 This was the site of Frome’s original market hall, and is still a place where markets are held and people gather to shop or attend an event. The Market Place which was originally divided into an upper and a lower market, before the centre was gentrified into the Georgian style when Bath Street was built at the end of the Napoleonic Wars. The ground slopes upwards away from the river so it is plain which end of the Market Place was upper and which lower. The lower portion used to be subject to flooding when the river was swollen but not now that the channel has been cut deeper. 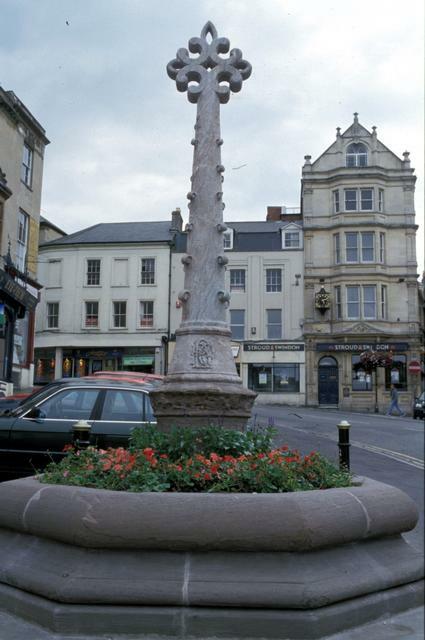 The historic Market Cross, also known as Boyle Cross, is situated in the heart of the town centre, in the original market place. This landmark divided the market place into upper and lower areas. This monument, originally a fountain, was erected in 1871 by the Hon. and Rev. R. C. Boyle, rector of Marston Bigot, as a token of his affection for Frome. It was designed by his wife, the Hon. Mrs. E. V. Boyle, artist and author, well-known to the Victorians as E. V. B. The cross, of red Devon marble, weighs a ton and took six months to carve. 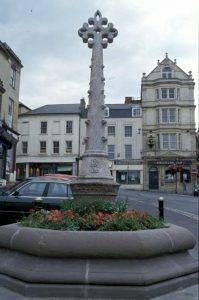 The sculptor was Joseph Chapman of Frome. The site was given by Richard, 9th Earl of Cork and Orrery, Lord of the Manor of Frome.